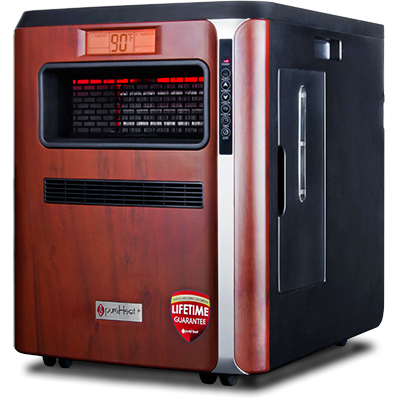 pureHeat+ is the most complete and advanced space heating system on the market. It heats using a cutting-edge PTC (Positive Thermal Coefficient) element that heats the air efficiently without drying it out. It purifies your air with PCO technology that features a high power germicidal UVC bulb. This bulb creates a purifying plasma that reduces mold, bacteria, and viruses (even on surfaces) so the months spent with doors and windows closed no longer means months spent in a stuffy indoor environment. Finally, it features a humidifier that adds extra moisture to the air to soothe your respiratory system in a season when it is often scratchy and dry. 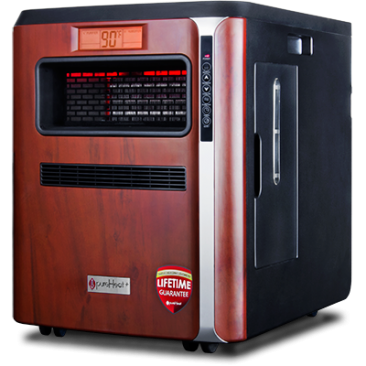 Perhaps the best of the features of pureHeat+, is that when the weather is warm it can still be used as an air purifier. Just press the purifier button and enjoy the vast benefits of active air and surface purification year-round! pureHeat+ is designed to provide years of trouble-free service when used and maintained according to the Owner’s Manual.